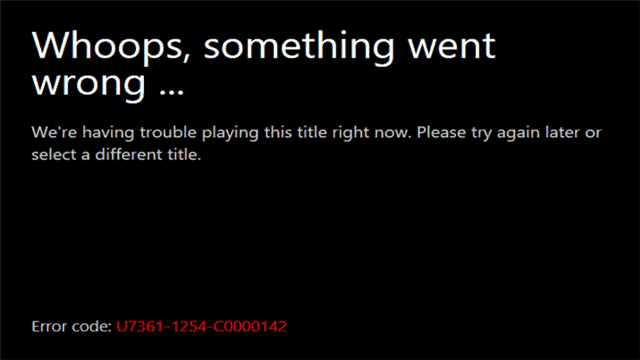 When using Netflix on Windows 10, one of the most common errors you’ll see are related to the playback of video content. Whether a video pauses mid-play or something just won’t load, Netflix will usually tell you about it. Errors like the one in the above image aren’t common, but when you’re trying to binge watch House of Cards or catch up on your favorite ABC shows, it’s frustrating to no end. Let’s look at how to troubleshoot playback errors in Windows 10 so you can get back to watching now. Typically, Netflix in Windows 10 will give you an error code in the bottom of your app screen. The first thing you should do is Google the error. This will often give you the troubleshooting guide for that specific error code according to Netflix. Follow these instructions and see if it correct the issue. If not, move on to our next troubleshooting step. If Netflix’s own steps to troubleshooting playback errors in Windows 10 doesn’t fix the issue, restart your PC and try again. Microsoft recommends uninstalling and reinstalling the Windows 10 Netflix app if you run into continuous playback issues. You can do this by right-clicking on the Netflix app in the Start Menu or via the Control Panel. 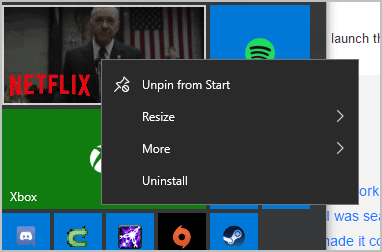 Once you’ve uninstalled the app, restart your PC, then use the Windows Store to reinstall the app. Login with your credentials, try playing any title, and then try playing the title giving you issues. In some cases, especially during peak Netflix viewing times, Netflix may be slower than normal which leads to playback issues. Around the globe, “internet rush hour” typically occurs between 7 PM and 11 PM local time. This is when the most people are at home, on the internet, and using services they share with others, such as Netflix. One of the troubleshooting steps you can take during peak hours is to prioritize a wired connection when possible over wireless; this can help resolve congestion from signals within your local area. Keep in mind when new Netflix shows are released, like Orange is the New Black or anything in the Marvel universe, chances are everybody is trying to watch them as they go live. This inundates Netflix’s servers and can cause playback issues, like trying to stream Game of Thrones when it goes live on HBO. Sometimes you just need to step away from Netflix for a bit and chill with something else to keep you entertained. It’s beyond frustrating to want to use Netflix or other streaming services, and not be able to view it. Try the above steps if you run into playback issues with the Windows 10 Netflix app. Consider Netflix’s own troubleshooting guides, too. If that doesn’t work, it may be time to pick up a good old-fashioned book – or your Kindle – and give your Netflix habits a rest.